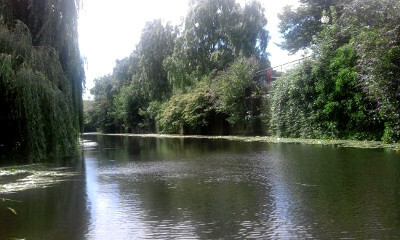 MOST boaters are unaware that in addition to the Ouse in York, the city has another navigable river. Castle Mills Lock on the Foss in York is operated on request by members of IWA North Riding Branch, as a free service to all boaters. This has been agreed with the navigation authority, York City Council. All passages are subject to water levels in the Foss. There is no overnight mooring available on the river, so it is necessary to book both passages. It is, however, an attractive mile-and-a-half of secluded and interesting waterway for a return trip within the day. Larger boats are advised to turn at Wormalds Cut; a 40ft narrowboat can turn further upstream; or two narrowboats breasted nose-to-taiil can use one to drive up and the other to drive back.